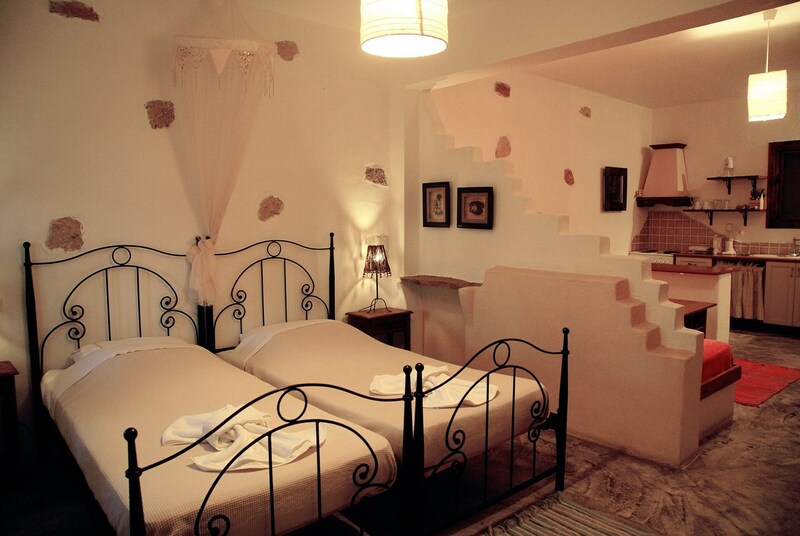 Each time you make a reservation through this website, your reservation is made directly with Kalderimi Studios. 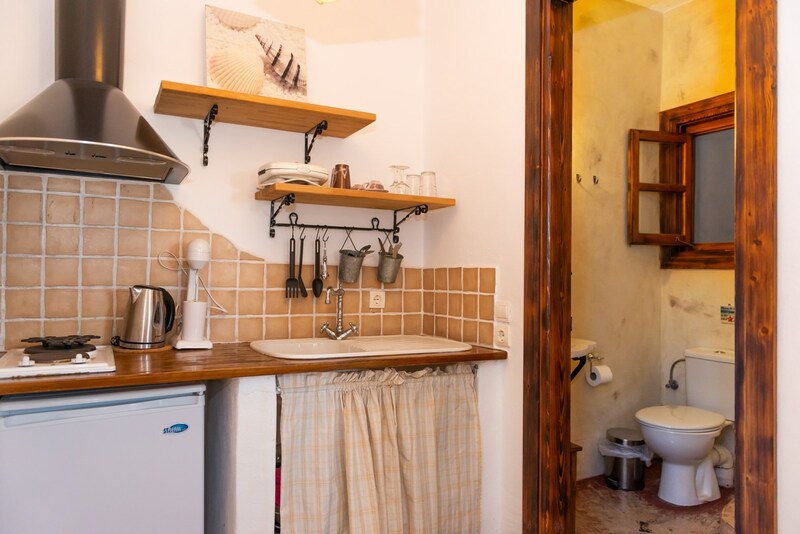 As such, you are guaranteed the lowest possible rate, unlike reservations made through third party systems (whose prices include the given platform’s commission). 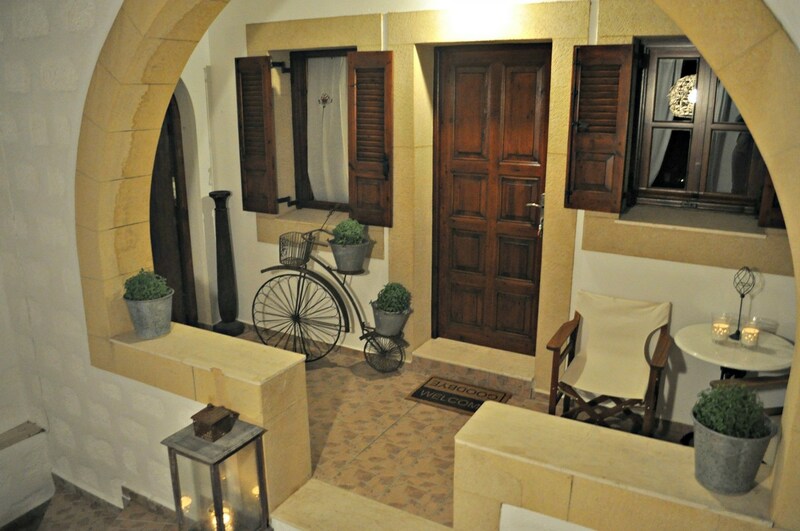 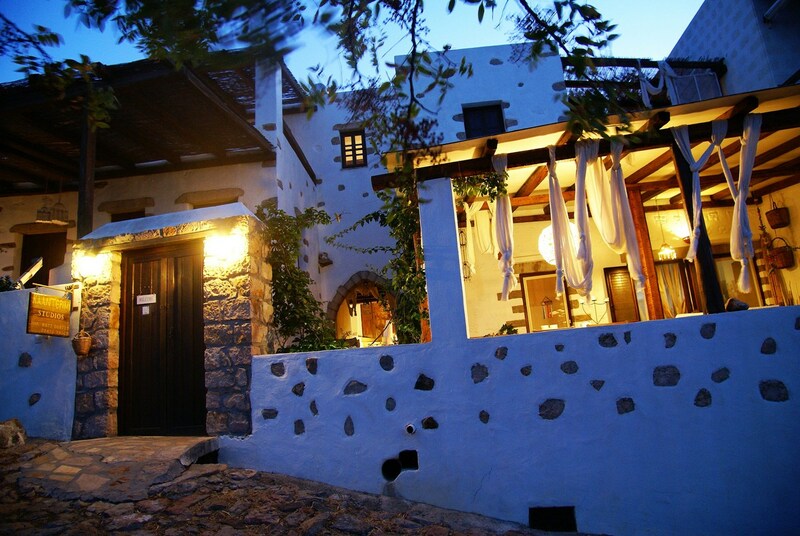 To send a reservation enquiry directly to Kalderimi Studios click here! 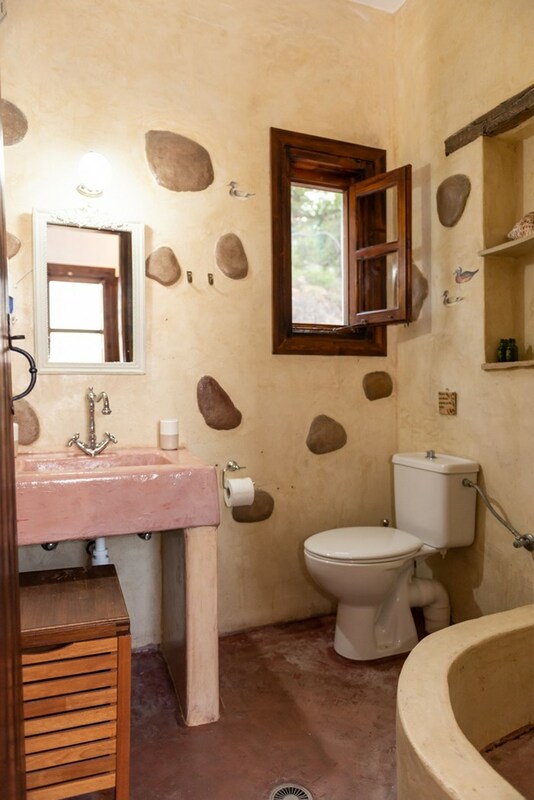 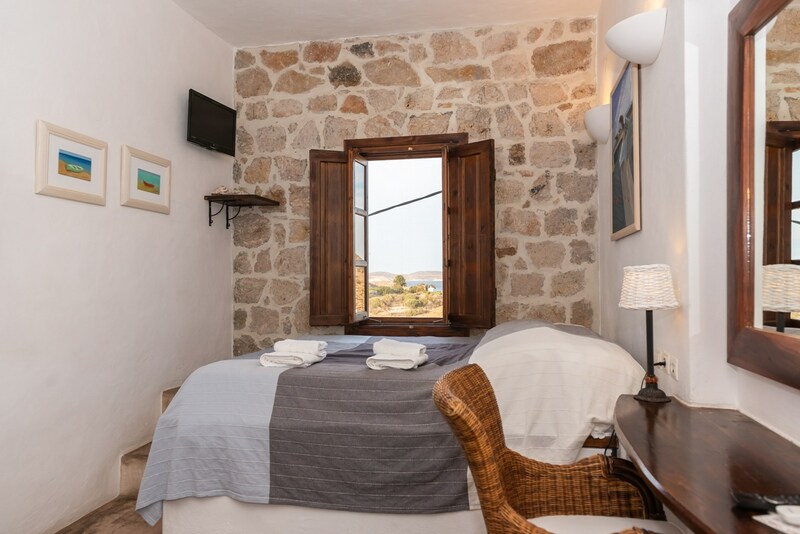 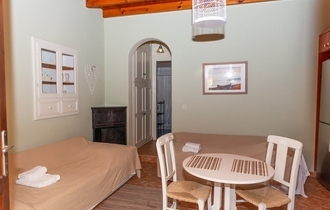 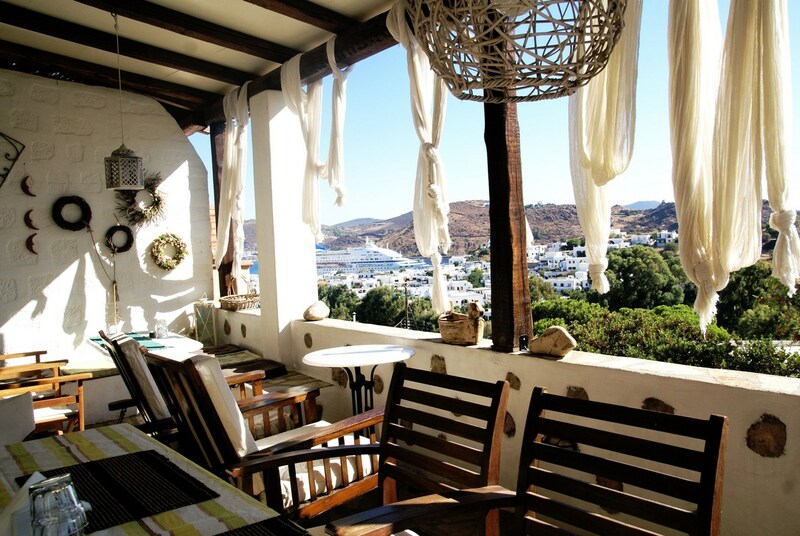 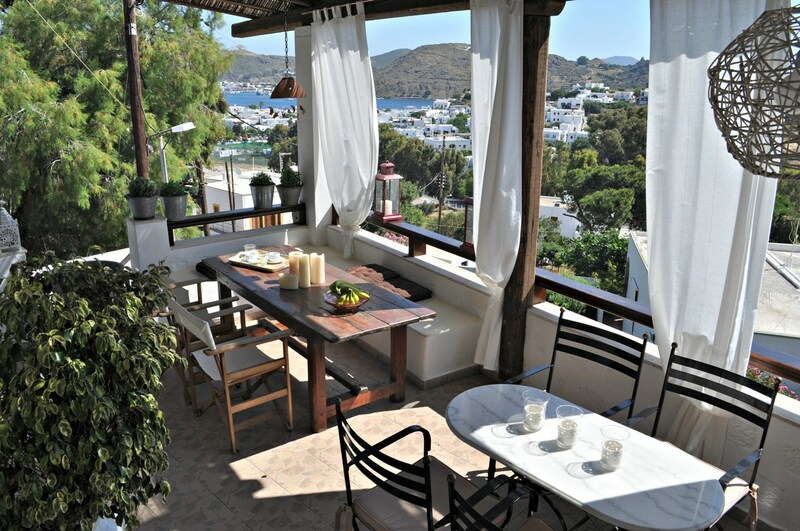 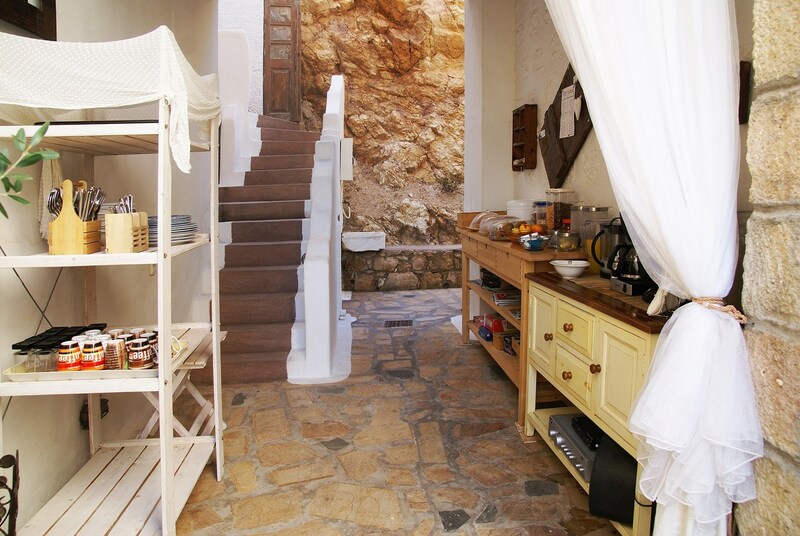 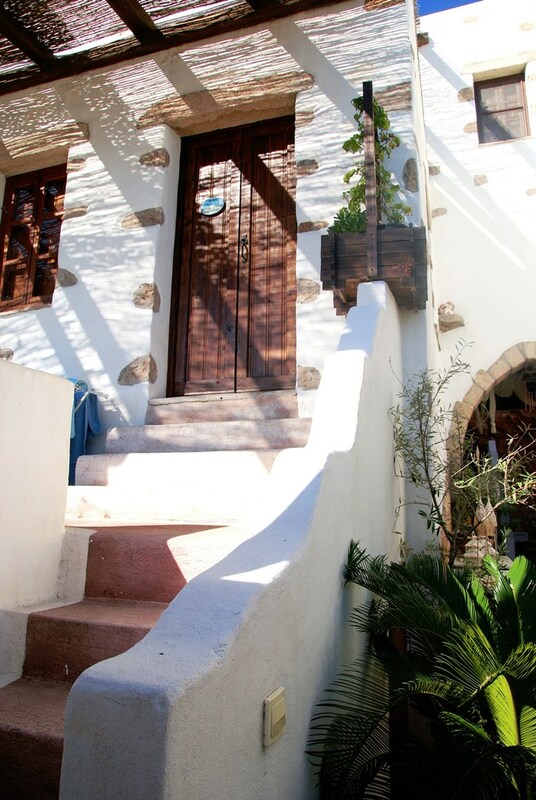 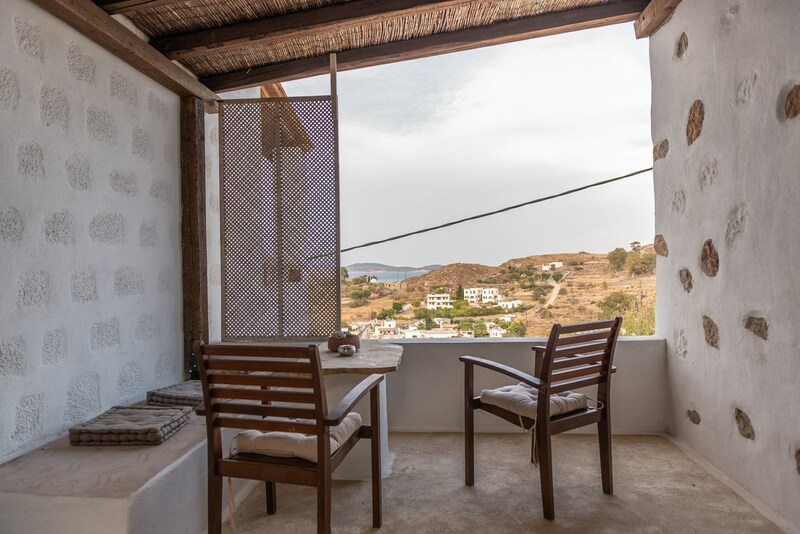 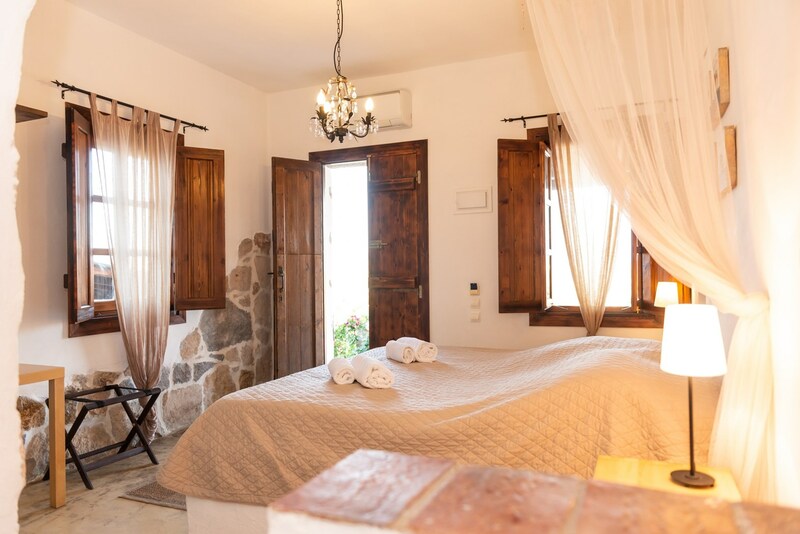 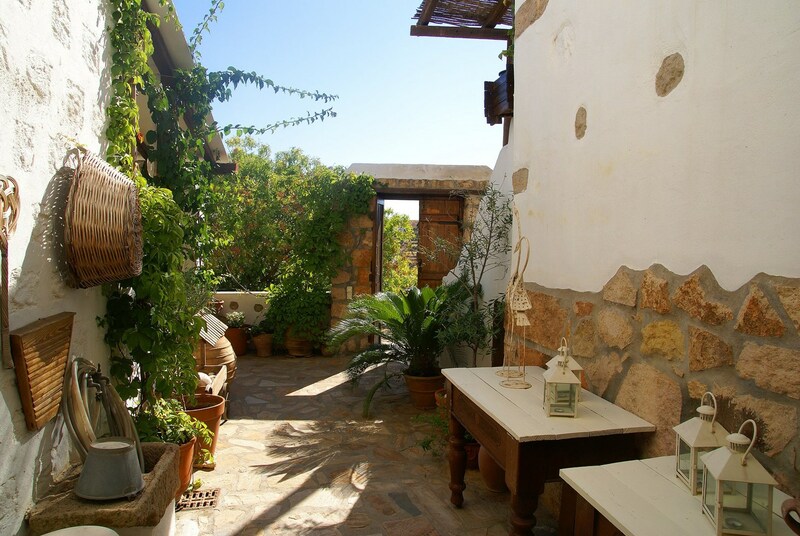 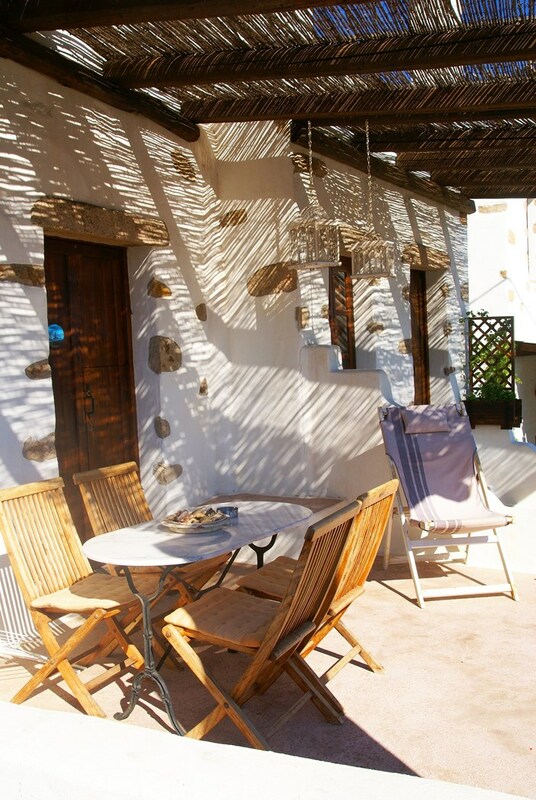 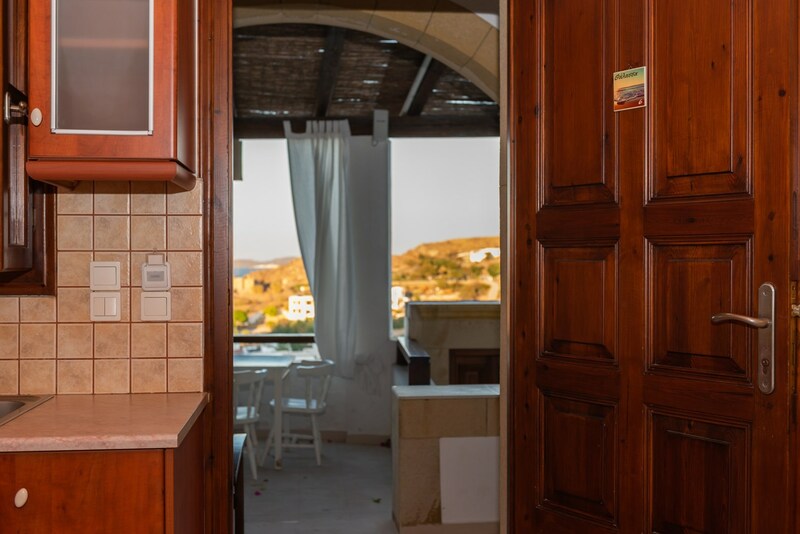 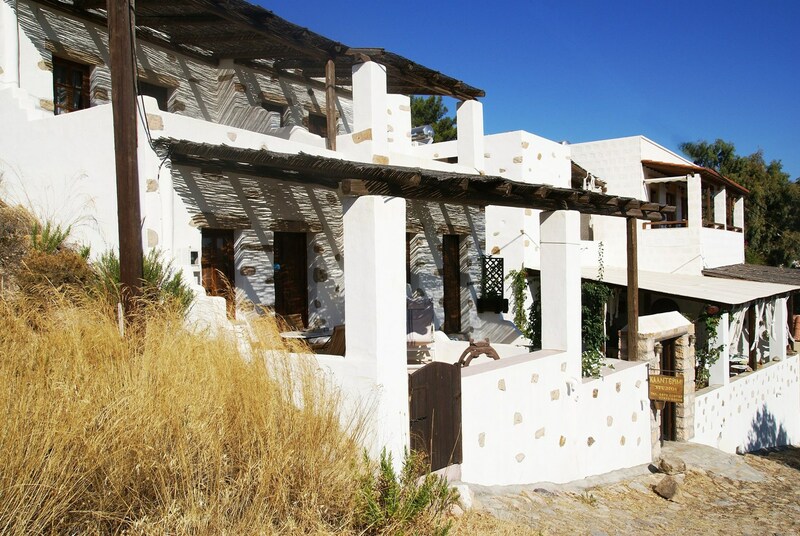 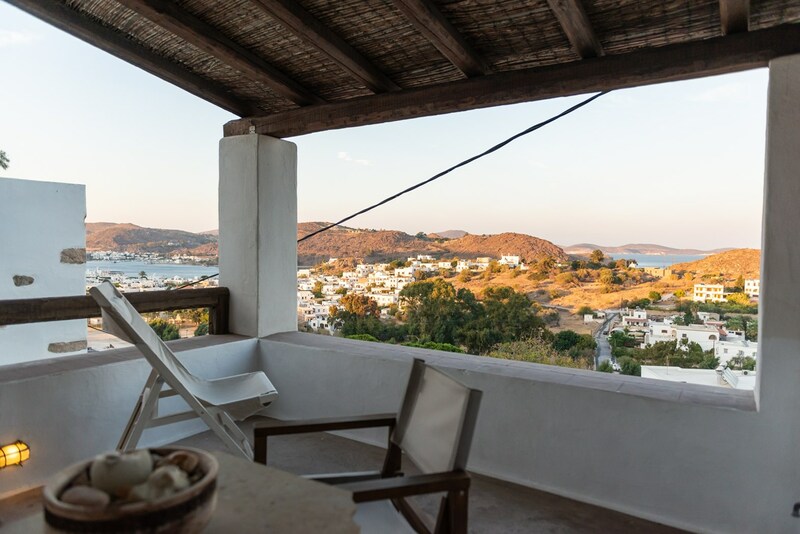 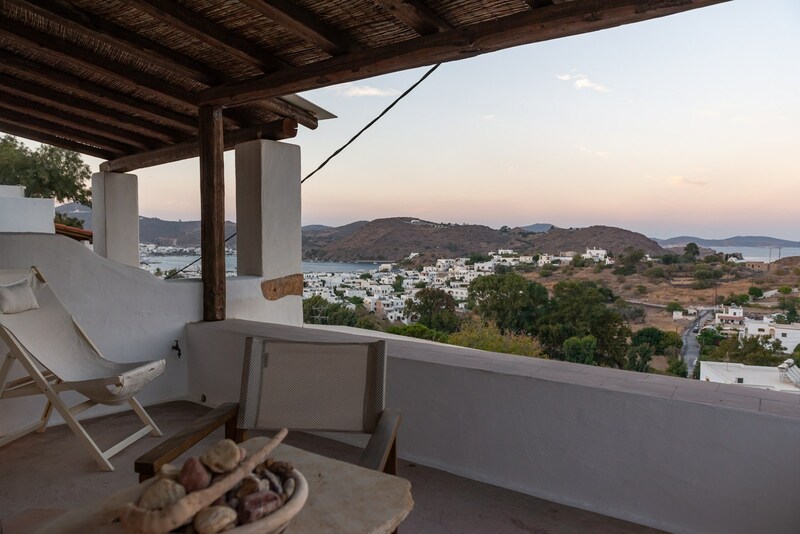 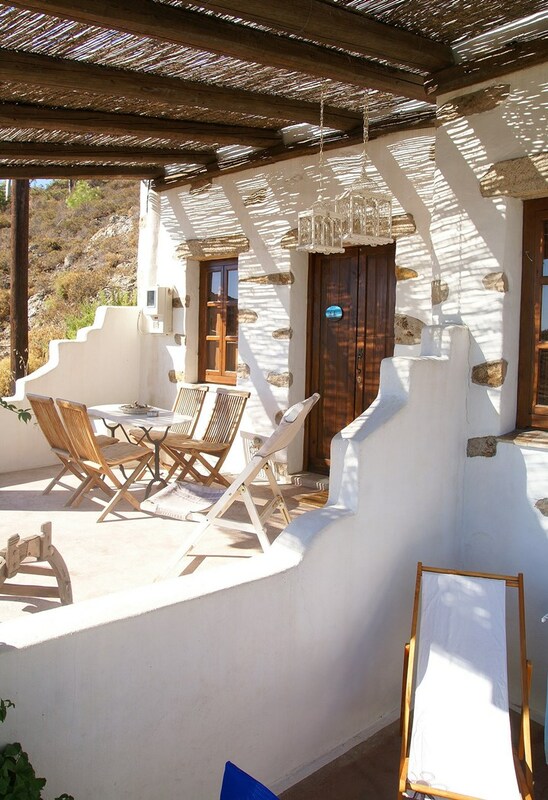 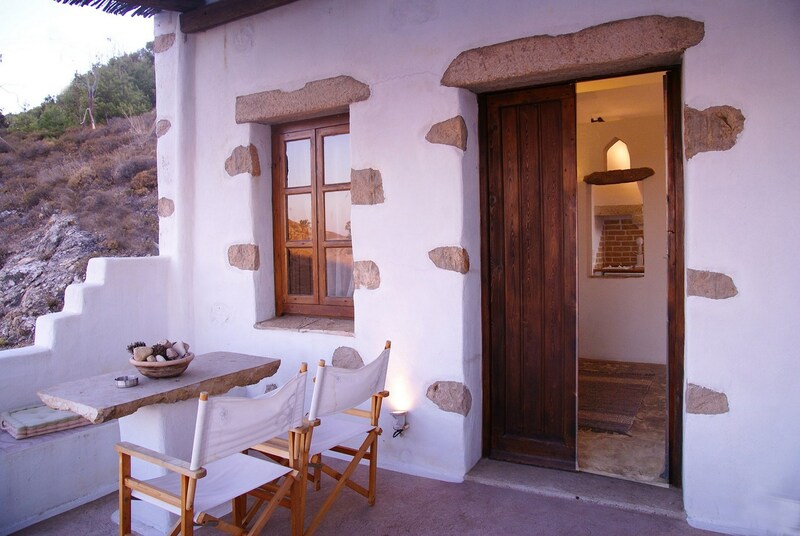 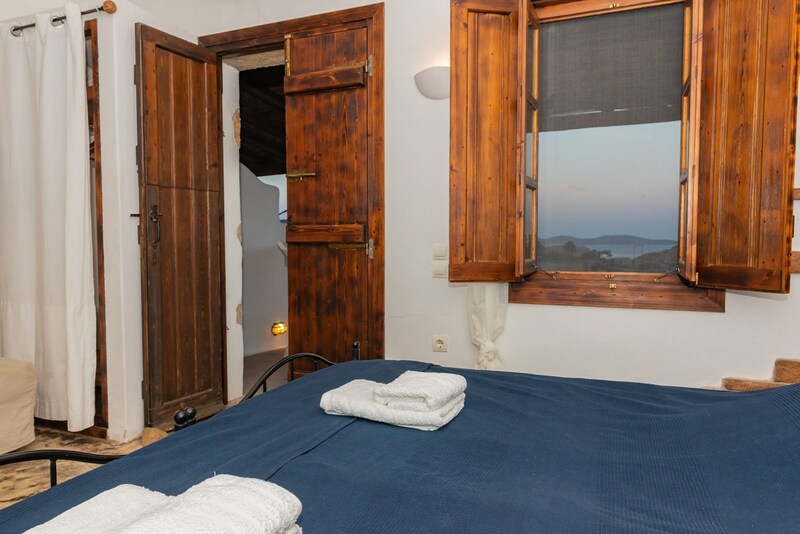 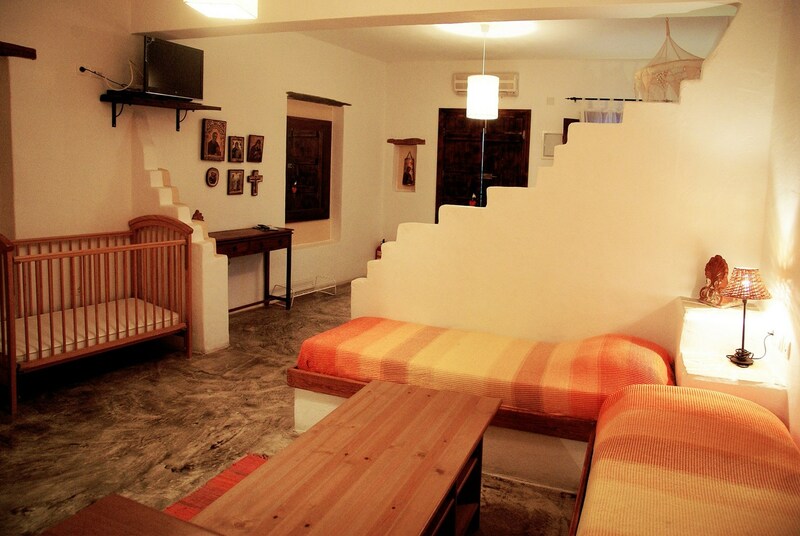 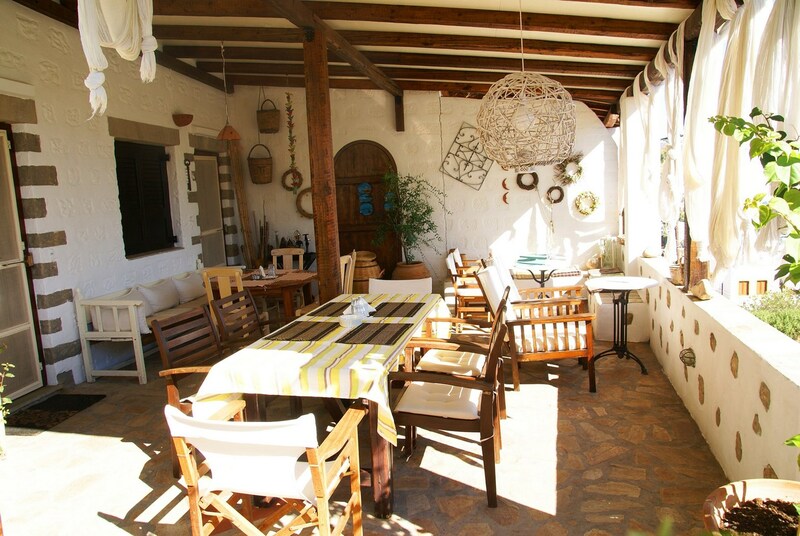 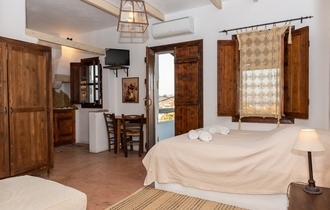 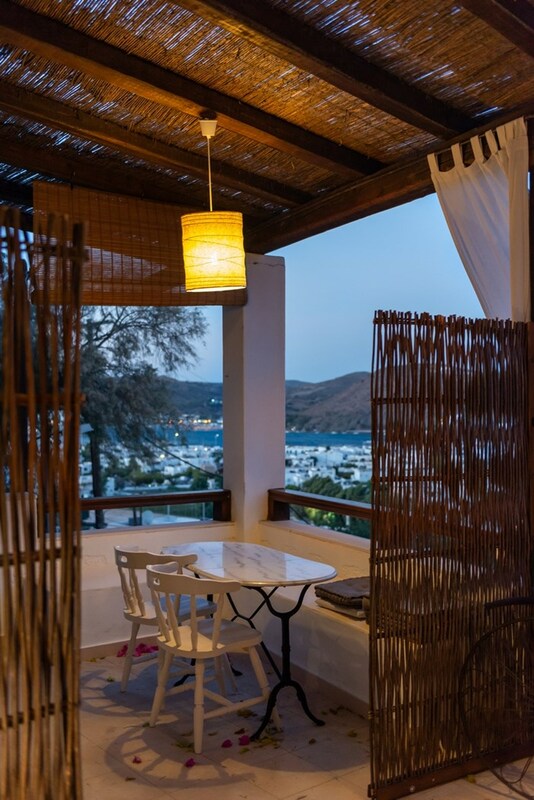 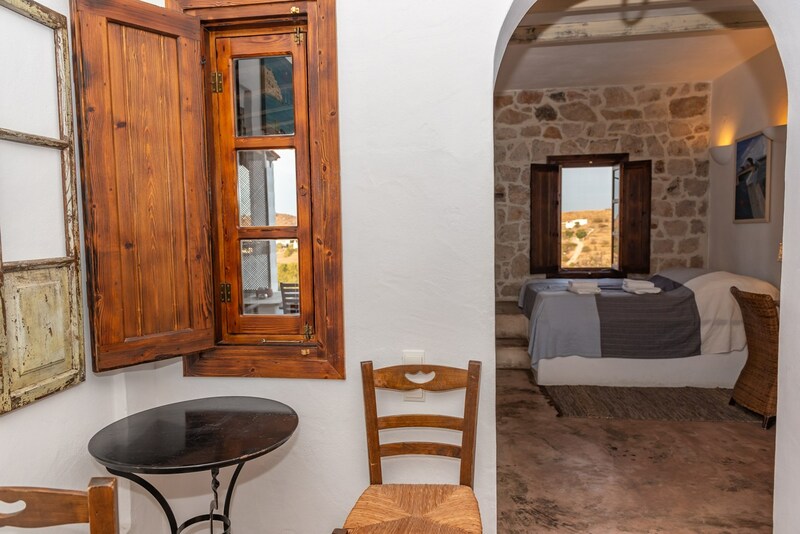 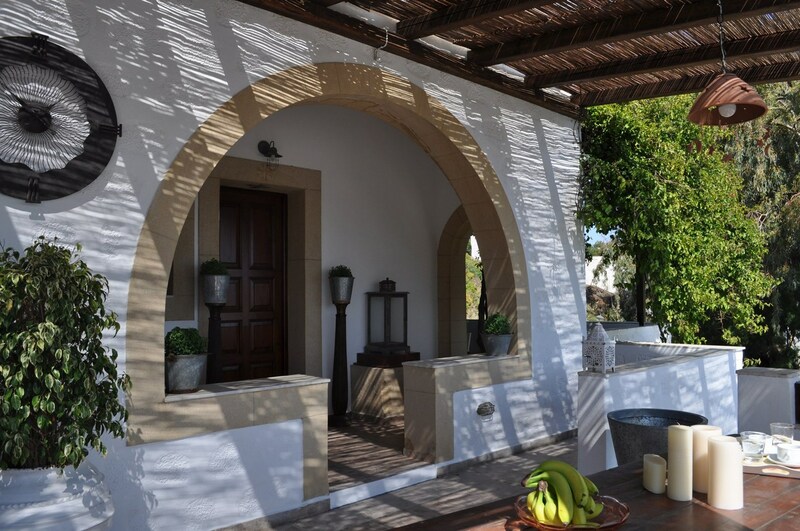 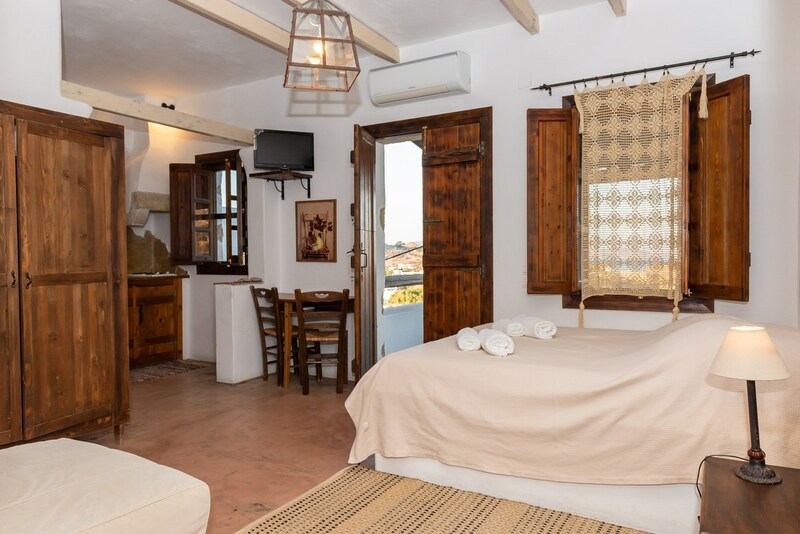 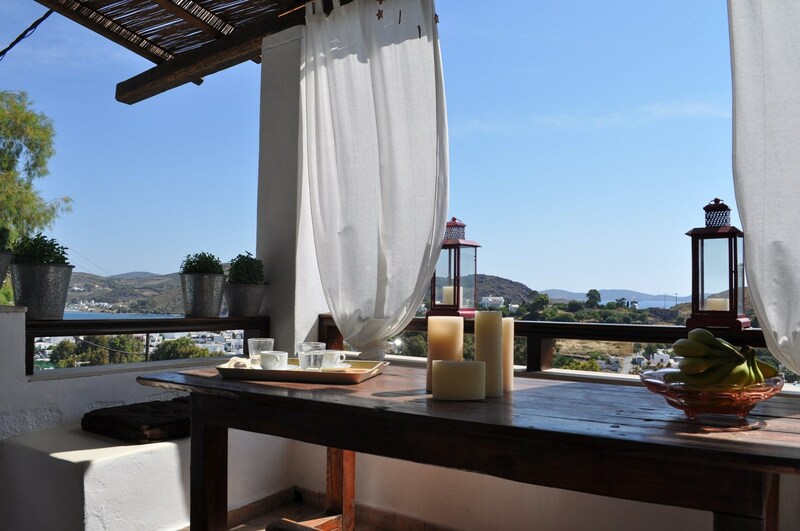 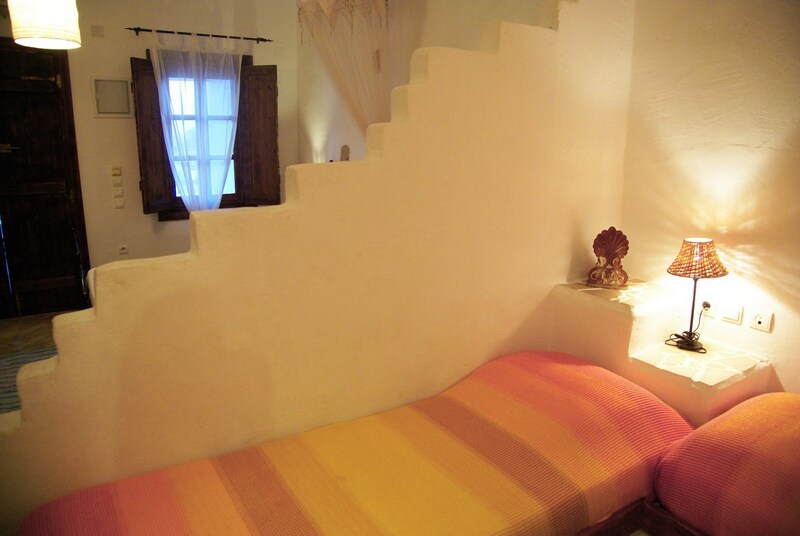 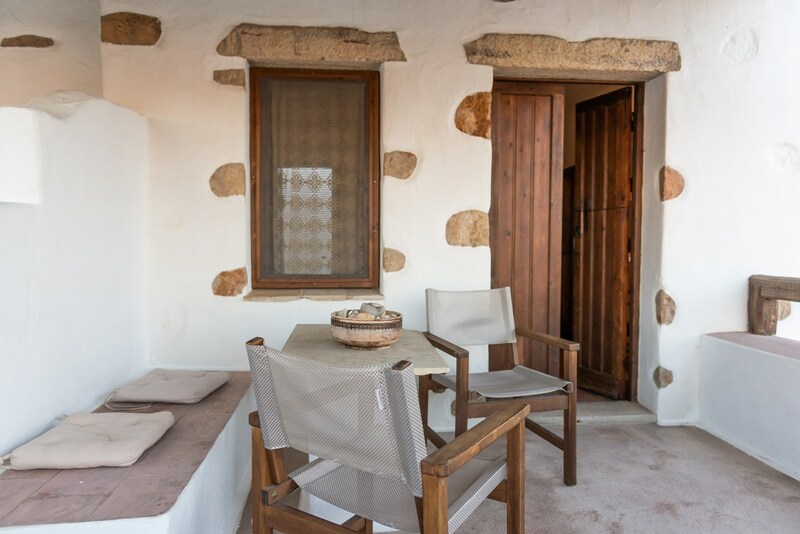 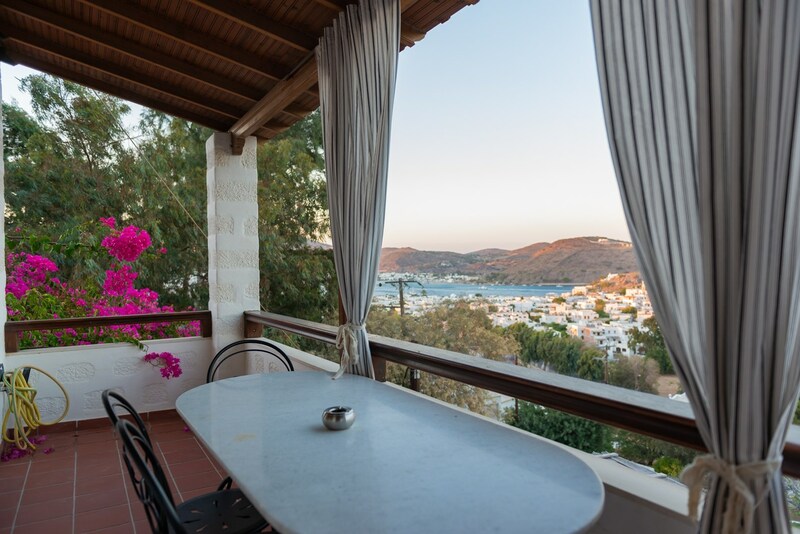 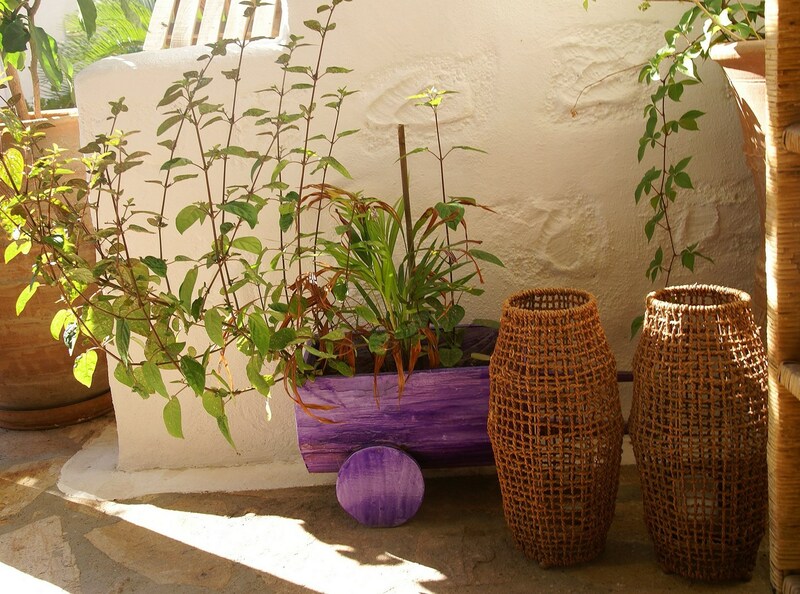 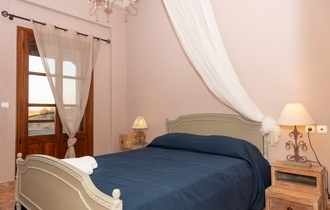 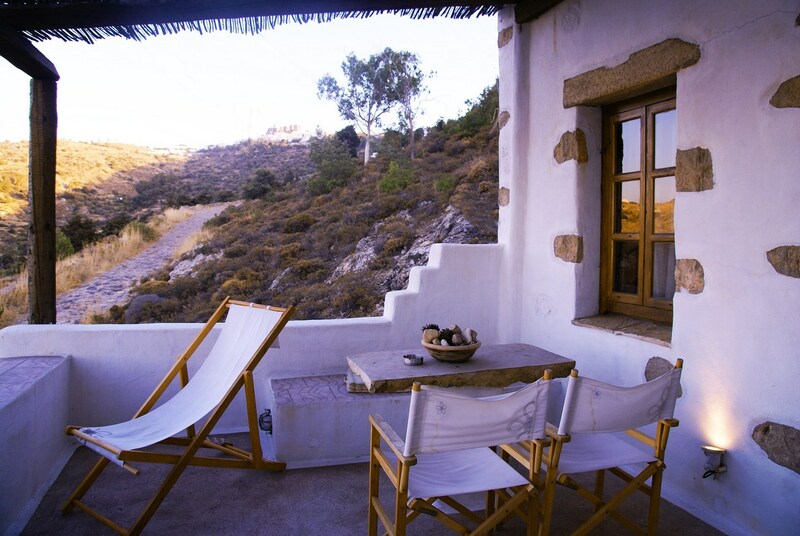 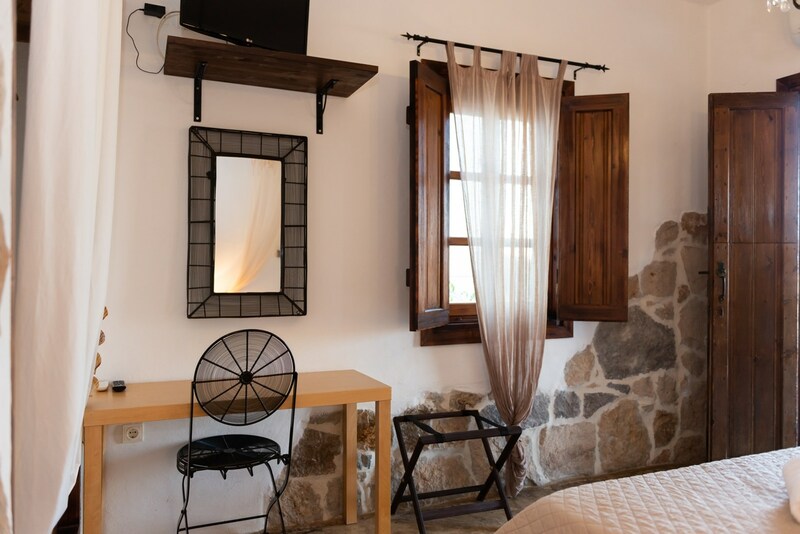 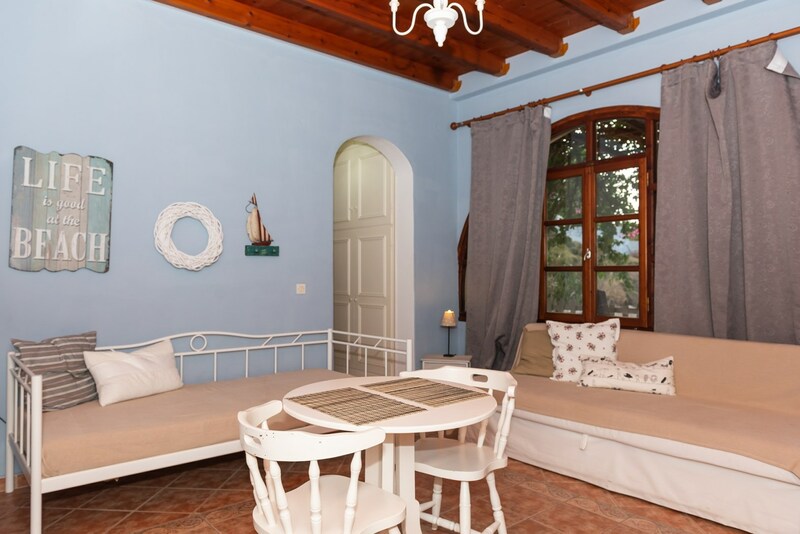 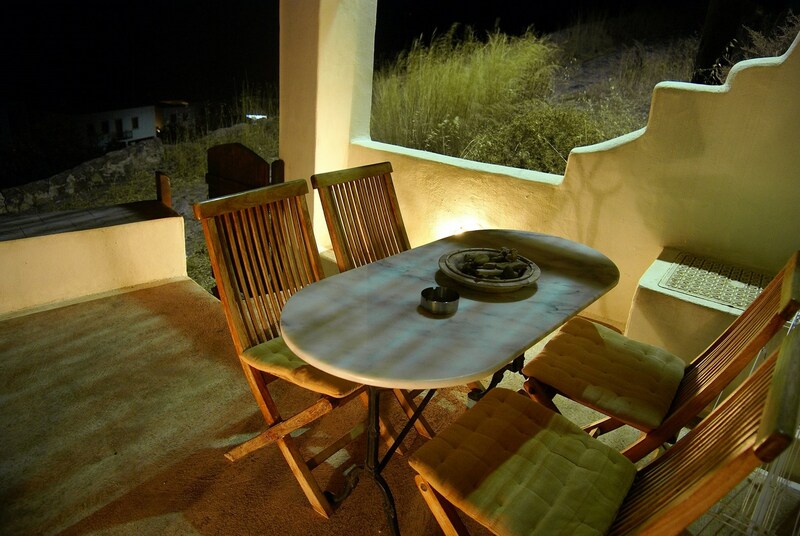 "Kalderimi Studios" is situated on Patmos island at an exceptional location. 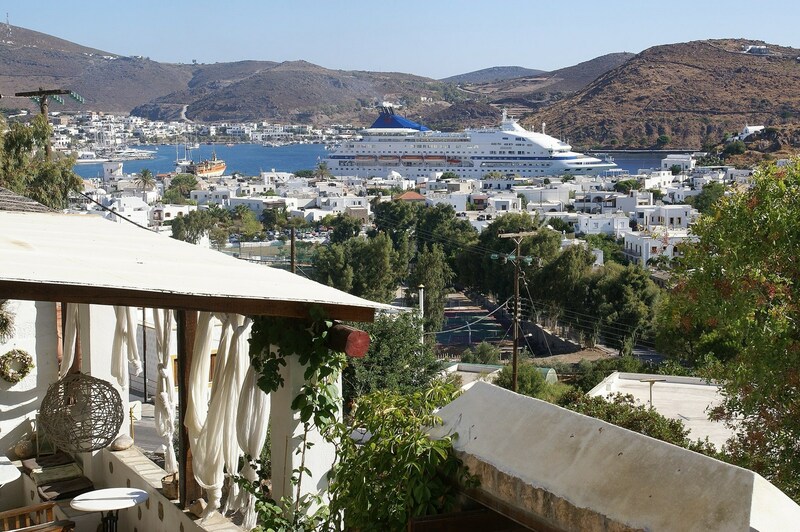 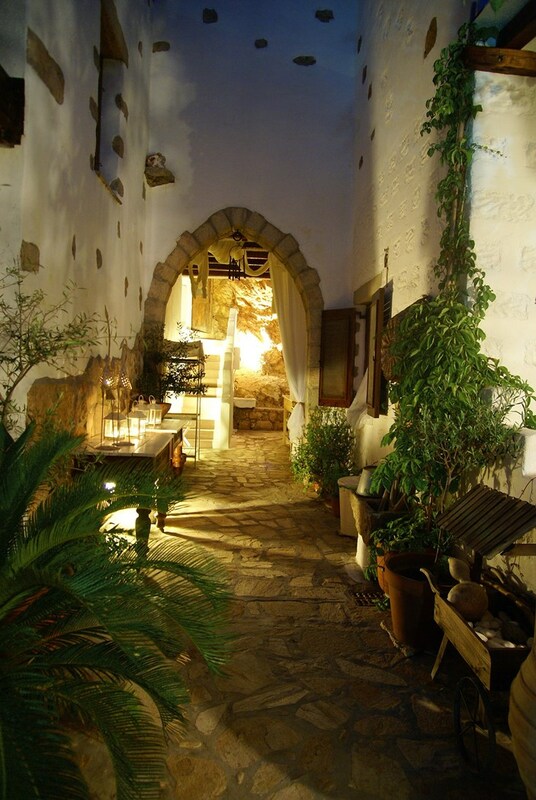 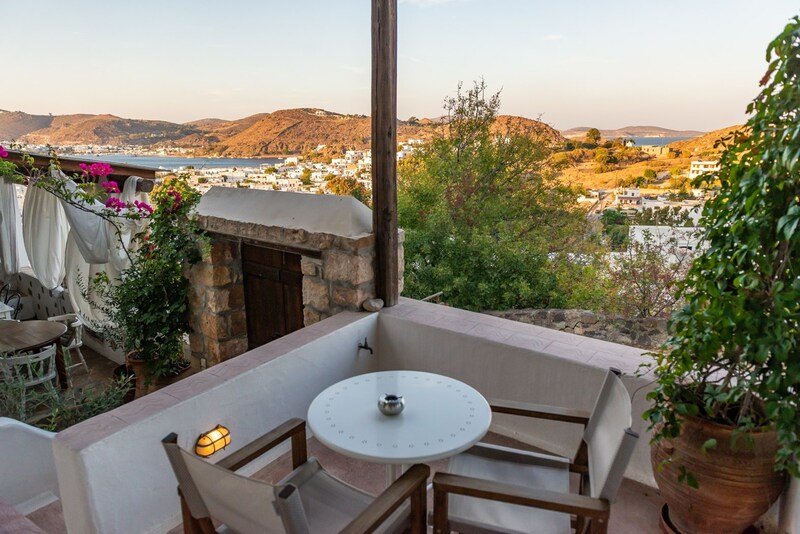 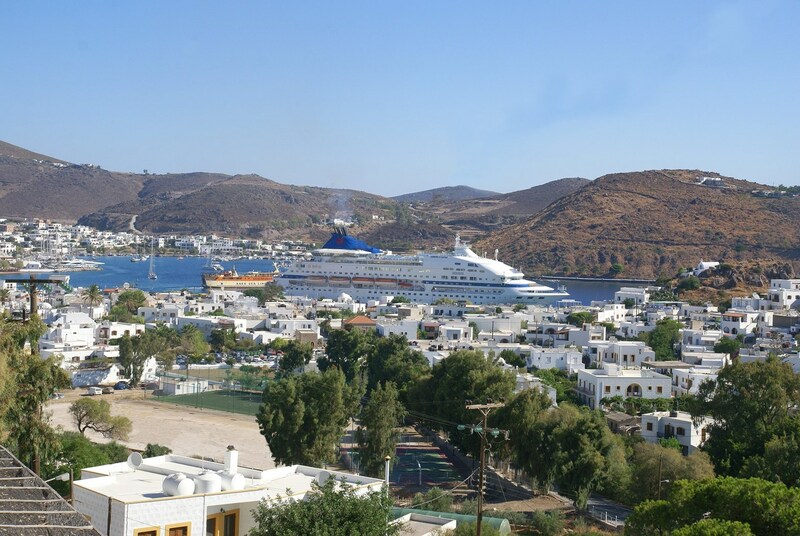 It is built only a few meters from the port, on a cobblestone street which leading up to Chora (Patmos Town). 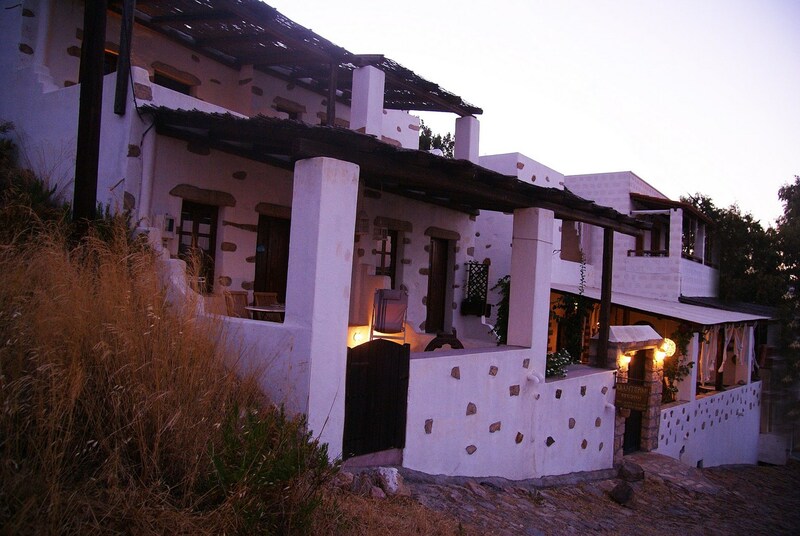 It has a marvelous, unique view: on the one side it faces the monastery and on the other, the quaint port of Skala. 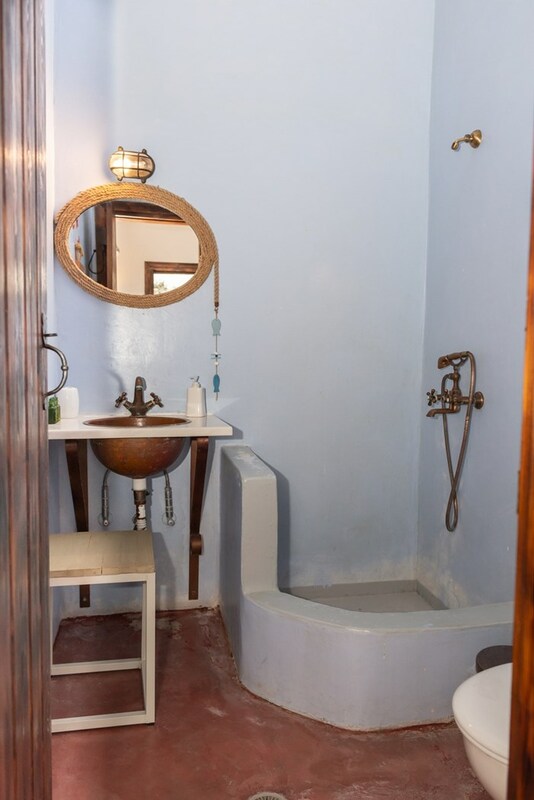 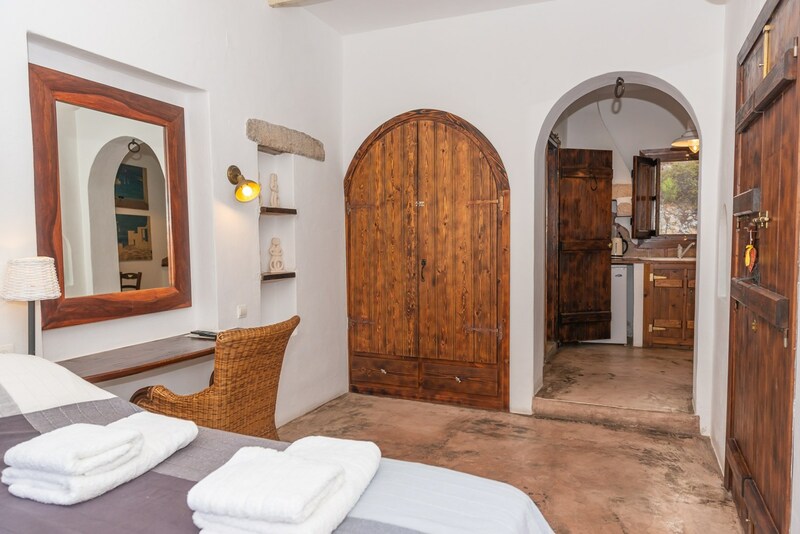 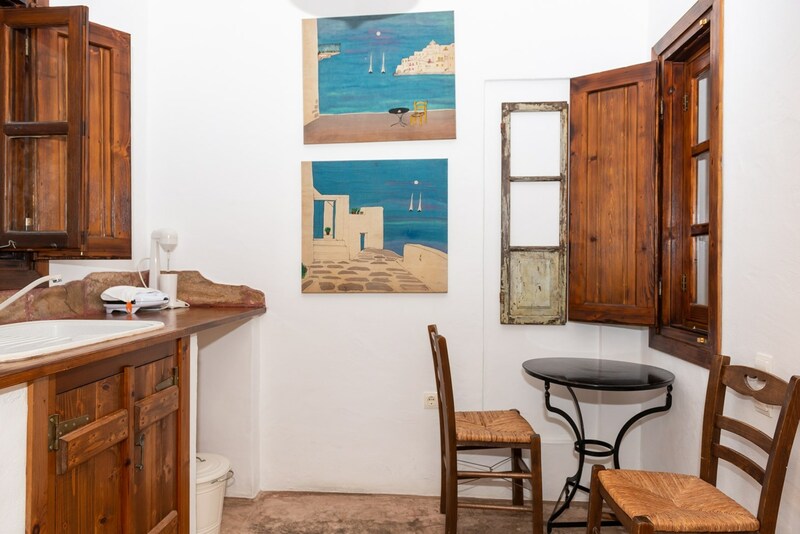 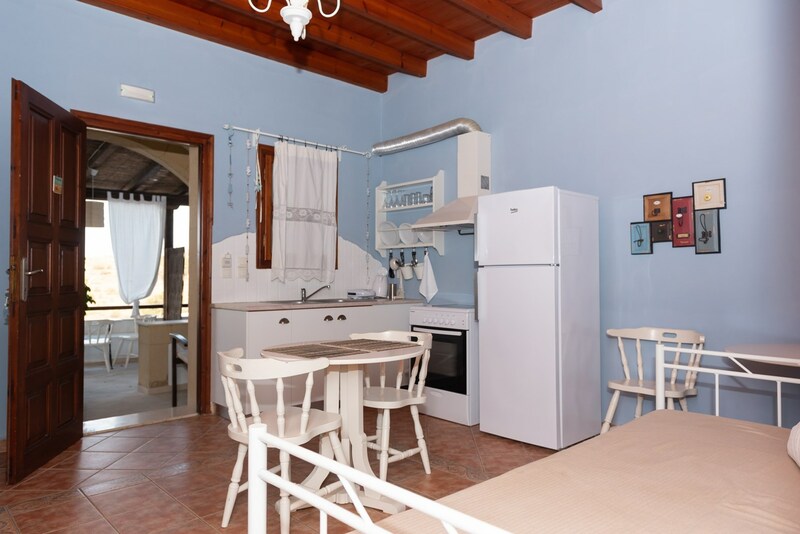 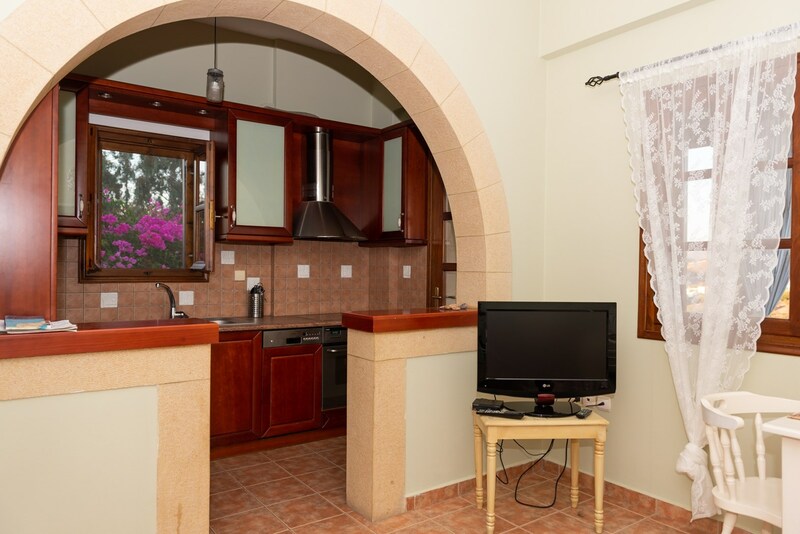 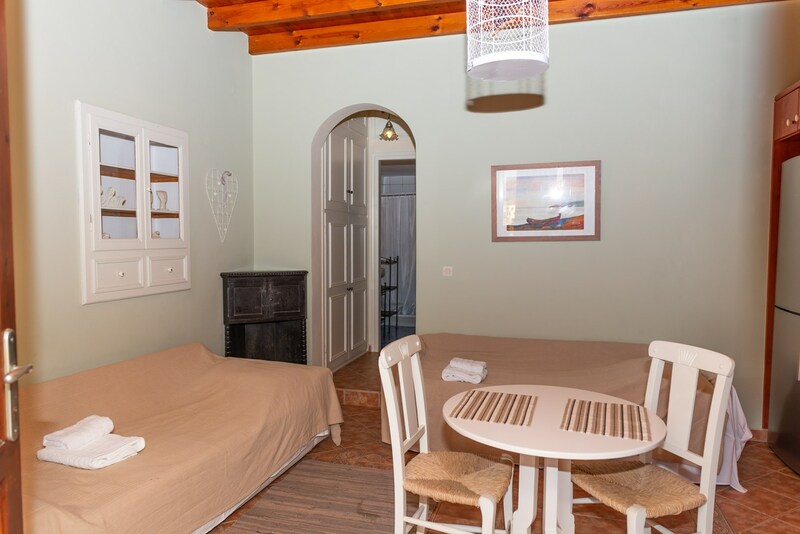 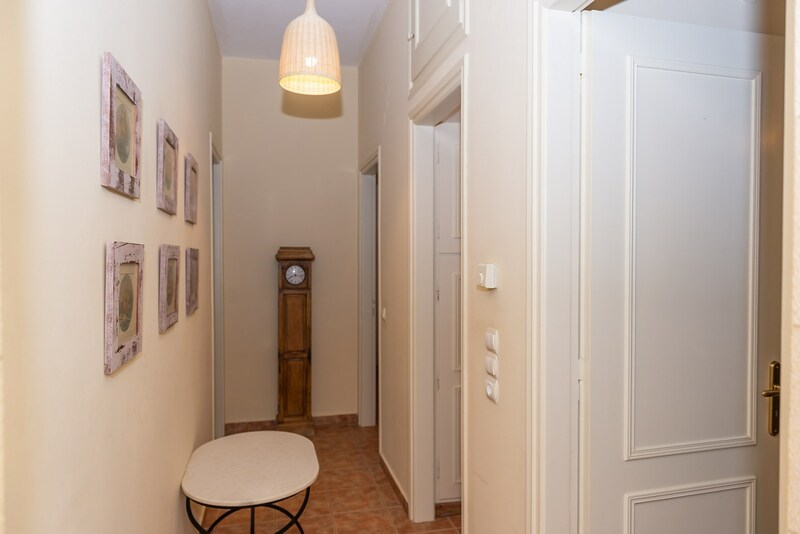 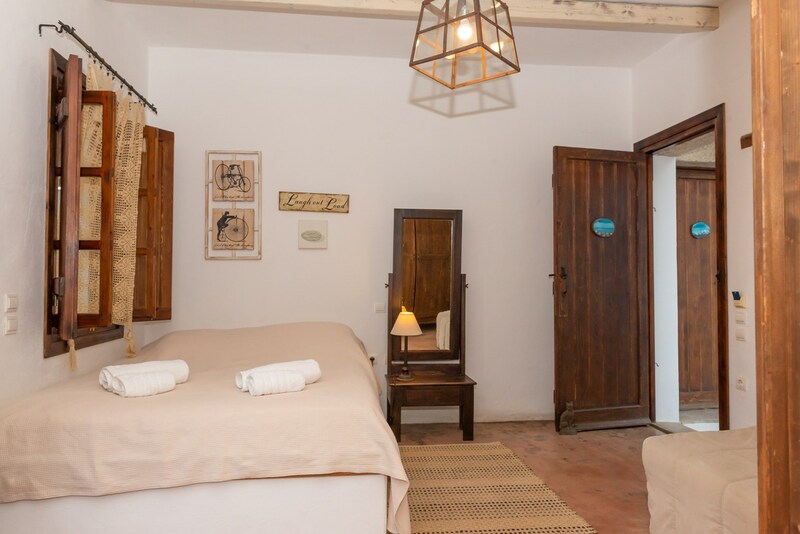 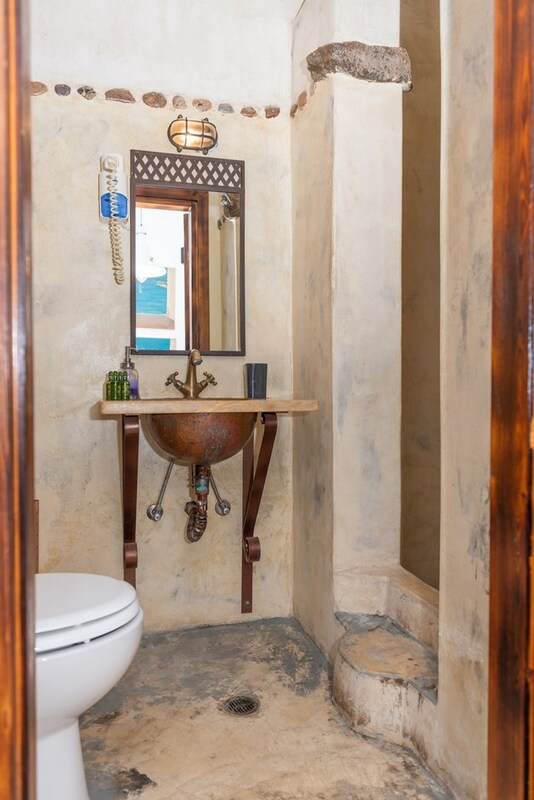 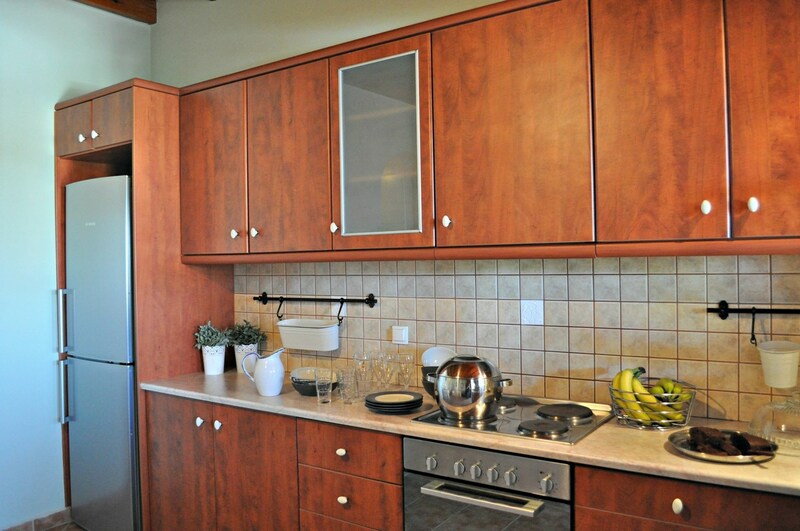 It offers its guests 5 traditional studios with all the amenities and an overwhelming feeling of security, peace and luxury, which promises moments of relaxation, in a hospitable and familiar environment. 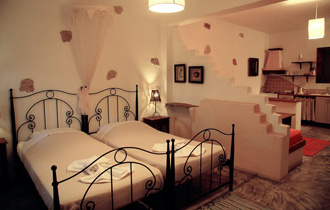 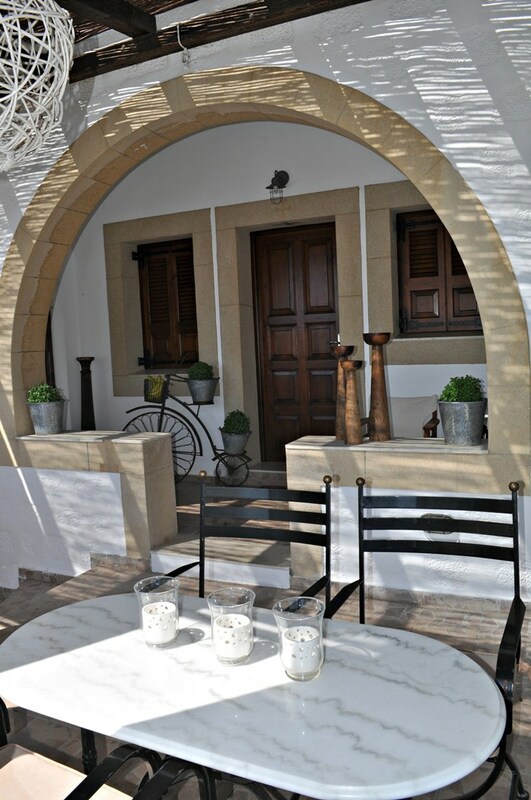 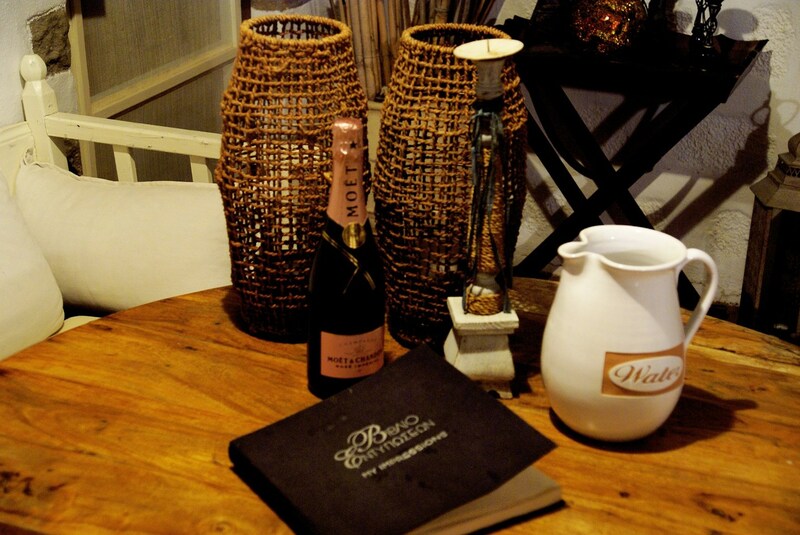 The décor of the rooms was done with respect for tradition and the imposing aura of the island. 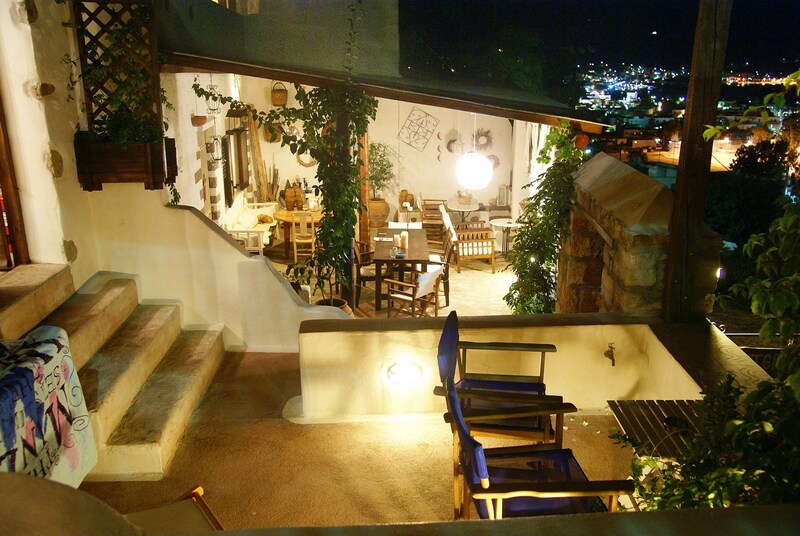 All the studios have an independent entrance and a big balcony with an amazing view. 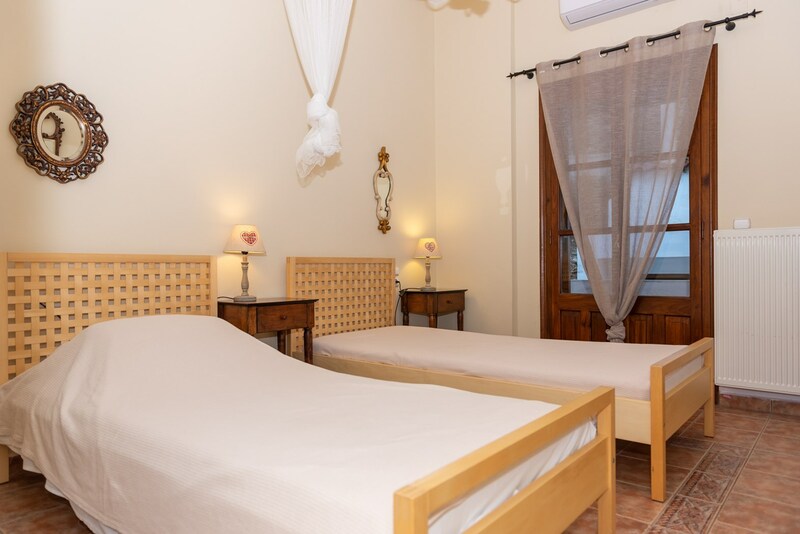 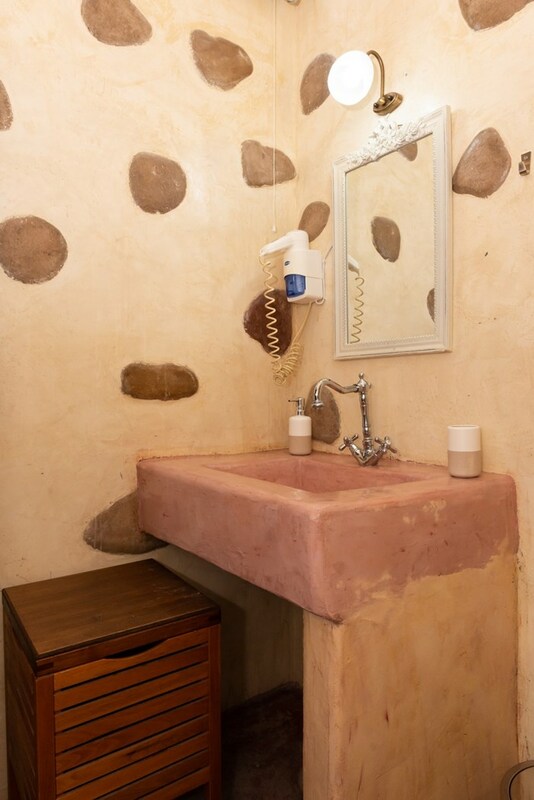 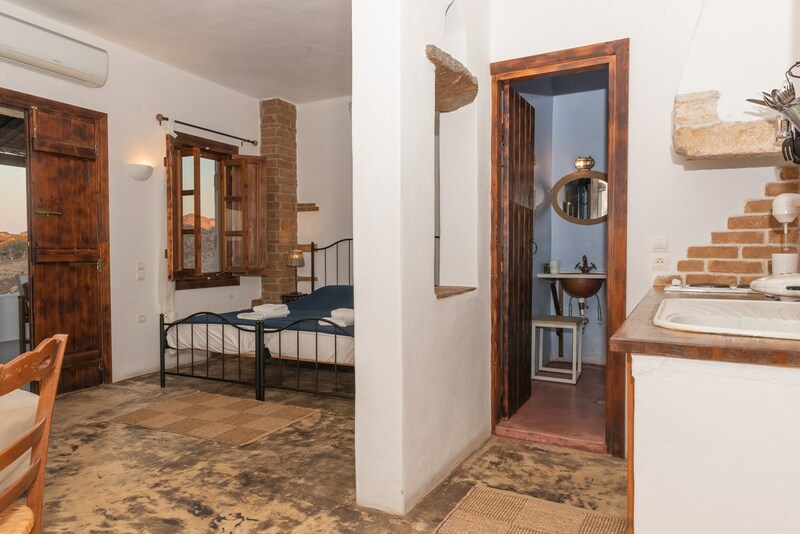 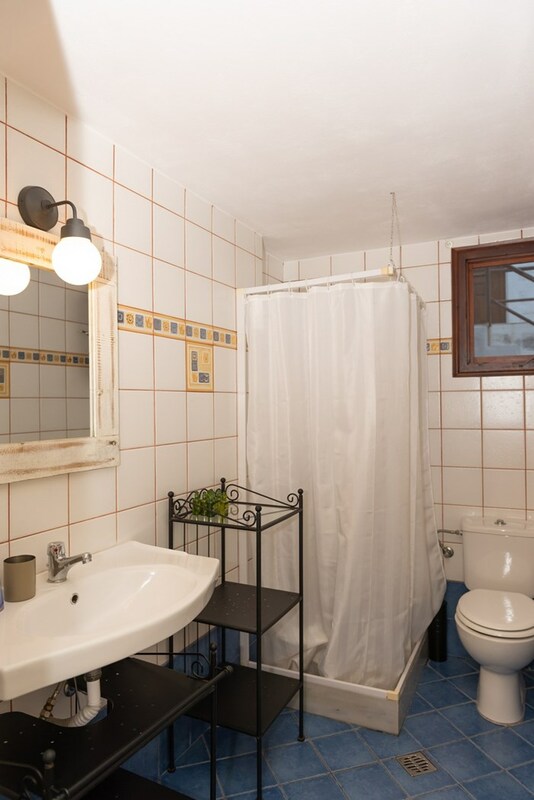 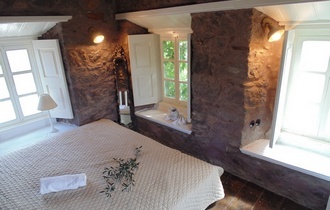 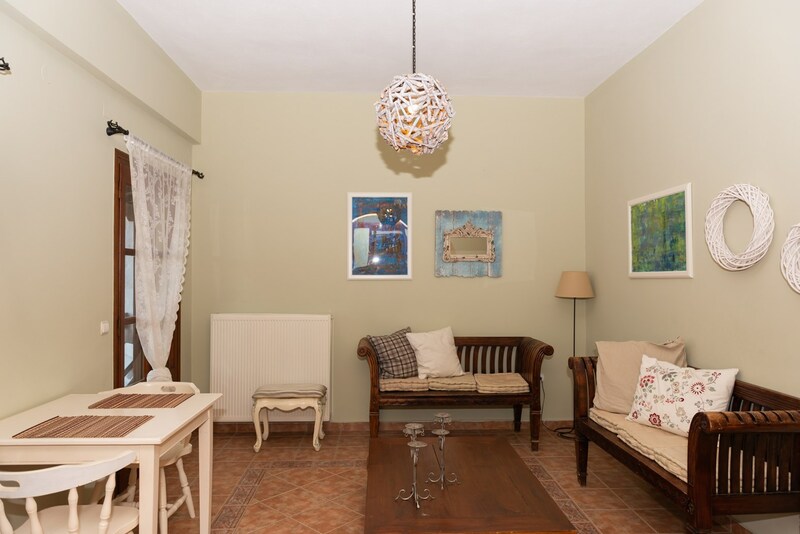 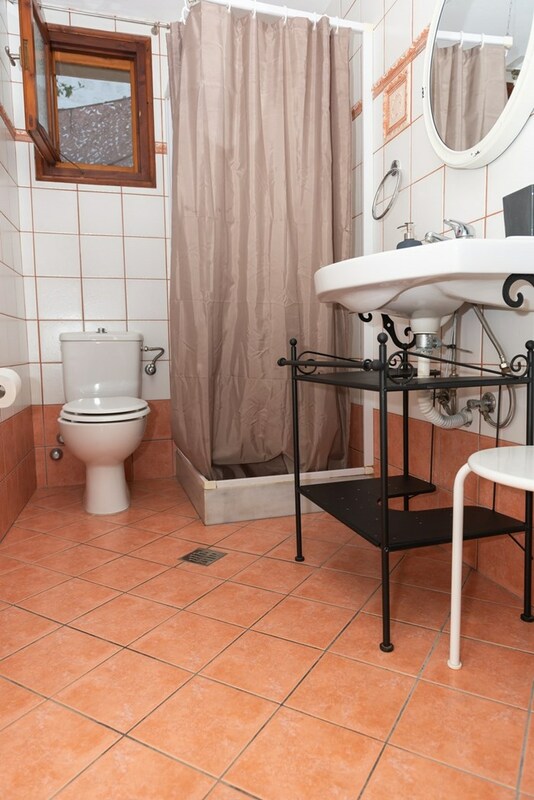 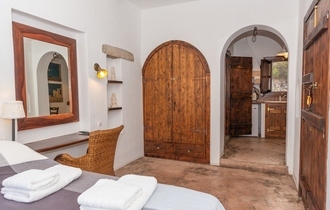 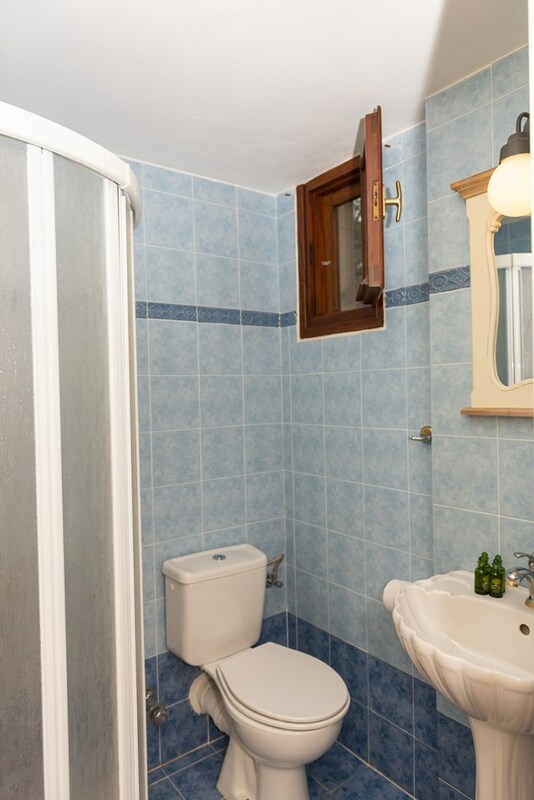 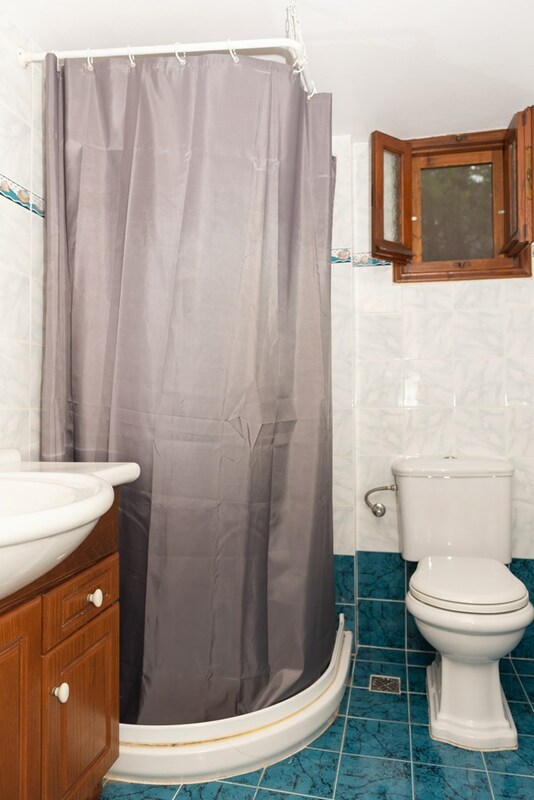 Through our website, all of Kalderimi Studios' rooms are made available. 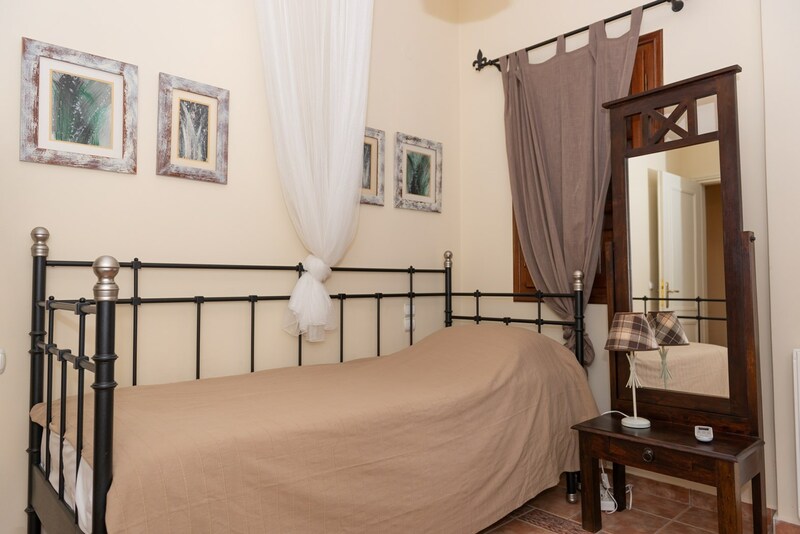 What this means is that while on certain online platforms you may not find available rooms, by contacting Kalderimi Studios through our website, it is likely that you will find an available room. 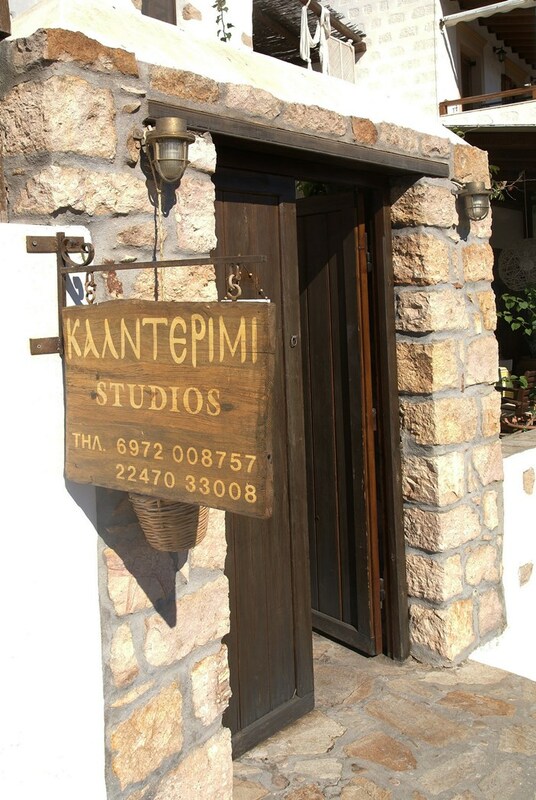 To send an availability enquiry directly to Kalderimi Studios, click here!